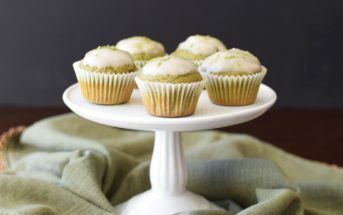 You are at:Home»Dairy-Free Recipes»Dairy Free Desserts»Cookie Dough Cupcakes: Impossibly Allergy-Free & Refined Sugar-Free! 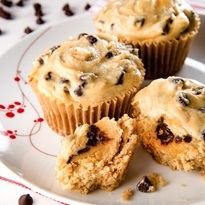 Cookie Dough Cupcakes: Impossibly Allergy-Free & Refined Sugar-Free! 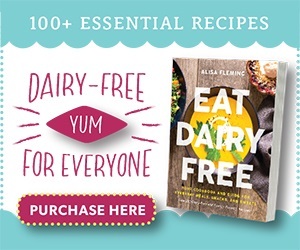 In all the years of Go Dairy Free, I can’t believe I’d never mentioned Debbie Adler. 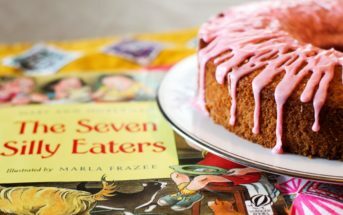 She’s a vegan, gluten-free, allergy-friendly baking legend who is already on her second cookbook, Sweet, Savory, and Free: Insanely Delicious Plant-Based Recipes without Any of the Top 8 Food Allergens. And today, she is sharing a sample recipe from that pretty collection for Cookie Dough Cupcakes. But first, let me tell you a little about Debbie Adler. Debbie opened the first vegan, gluten-free, refined sugar-free bakery in Los Angeles, called Sweet Debbie’s Organic Cupcakes. She later transitioned it to be top allergen-free when her son was diagnosed with severe food allergies. And then came Debbie’s first cookbook: Sweet Debbie’s Organic Treats: Allergy-Free and Vegan Recipes from the Famous Los Angeles Bakery. It quickly won awards and accolades for delicious innovation. But Debbie’s family doesn’t subsist on treats alone. They also enjoy hearty breakfasts, soup, convenient meals, pizza, pasta, sides, breads, and more. And that is what her new cookbook, Sweet, Savory, and Free, is all about. It’s the “everything” for eating well everyday. Nonetheless, I felt it fitting that our first taste of Debbie’s recipes on Go Dairy Free should be one of her iconic cupcakes. 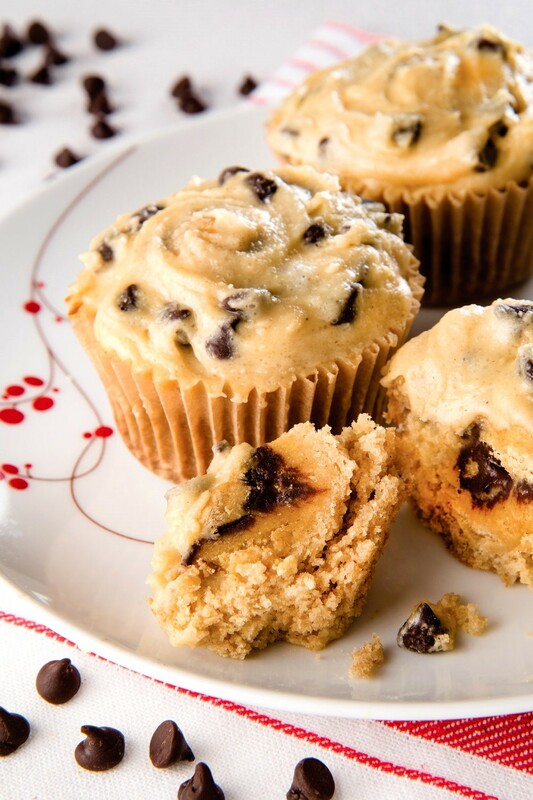 These Cookie Dough Cupcakes are from The Feast of Sweets finale chapter in Sweet, Savory, and Free. 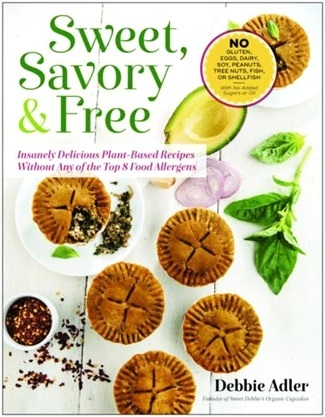 And like all of the recipes in this enticing cookbook, they are amazingly vegan, gluten-free, top allergen-free, and refined sugar-free. I consider this the “great experiment.” I never had cookie dough anything before I tried to make it on my own, but according to everyone in the world, cookie dough is something to get really excited about. My curiosity got the best of me, and I’m very grateful it did. Now I’m hooked. And since it’s called cookie dough, I made it into cupcakes. This way you can get a double dose of the cookie dough: one in the filling and one in the frosting. Makes sense, right? And with no raw eggs to worry about, it’s safe for everyone—everyone in the world who loves cookie dough. Preheat the oven to 325°F. Line a 9 × 9-inch square baking pan with parchment paper. Line a standard 12-cup muffin tin with paper baking cups. To make the cookie dough filling: Whisk together the flour and salt in a medium bowl. Make a well in the middle. Add the coconut nectar, applesauce, and chocolate chips. Stir to combine. Divide the dough into 12 balls using a melon baller. Place the balls in the prepared baking pan and freeze for about 30 minutes. 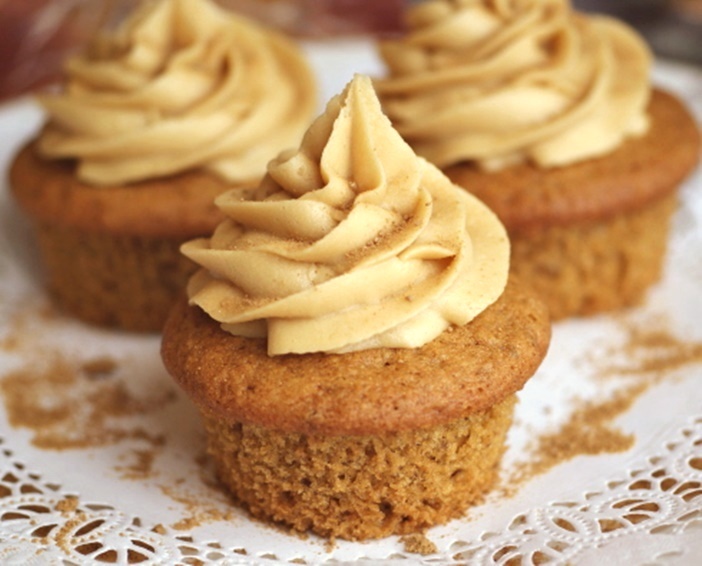 To make the cupcakes: Mix together the coconut milk and apple cider vinegar in a small bowl. Whisk together the all-purpose flour, cacao powder, baking powder, baking soda, guar gum, and salt in a large bowl. Make a well in the middle. Add the applesauce, coconut nectar, vanilla, and stevia, and stir to combine. Next add the coconut milk mixture and stir until the liquid is absorbed and the batter is smooth. Stir in the yogurt until well combined. Pour the batter into the prepared muffin tin, dividing it evenly. Each cup should be about two-thirds full. 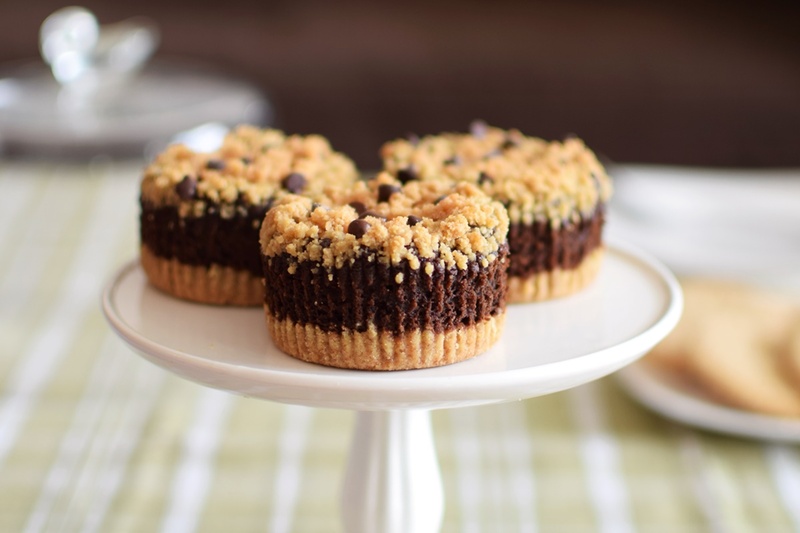 Take the baking sheet out of the freezer and place a frozen ball of cookie dough in the middle of each cupcake. Bake the cupcakes until they bounce back slightly to the touch, about 16 minutes. Rotate the muffin tin from front to back after 10 minutes of baking. Transfer the muffin tin from the oven to a wire rack, and let it sit for 10 minutes before removing the cupcakes to cool completely. To make the frosting: Mix together the all-purpose flour and powdered erythritol in a medium bowl. Make a well in the middle. 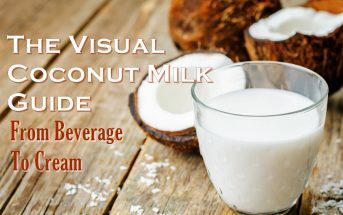 Add the coconut nectar, coconut milk, and chocolate chips, and stir to combine. Frost the completely cooled cupcakes. 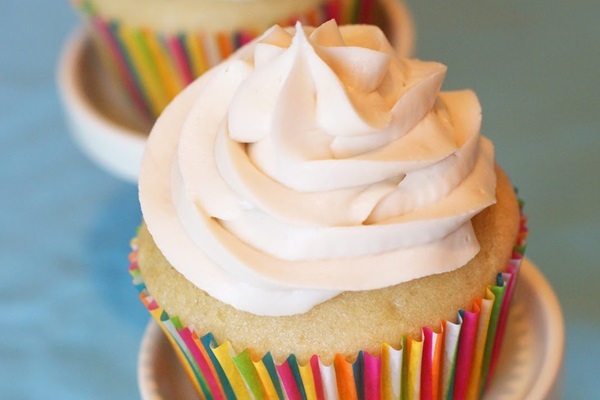 Keep unfrosted cupcakes in an airtight container for up to 3 days, or wrap and freeze them for up to 3 months. Leftover frosting keeps in the fridge for about 1 week if stored in an airtight container, but if I were you, I’d eat it off a spoon way before then. 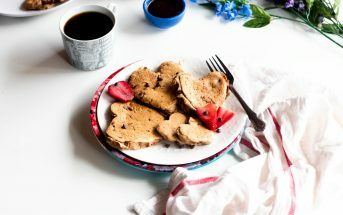 All-Purpose Gluten-Free Flour Mix: Whisk together 1 cup tapioca starch/flour, ¾ cup sorghum flour, ¾ cup millet flour, ¼ cup ivory teff flour, and ¼ cup quinoa flour. Store in an airtight container, and use as needed. 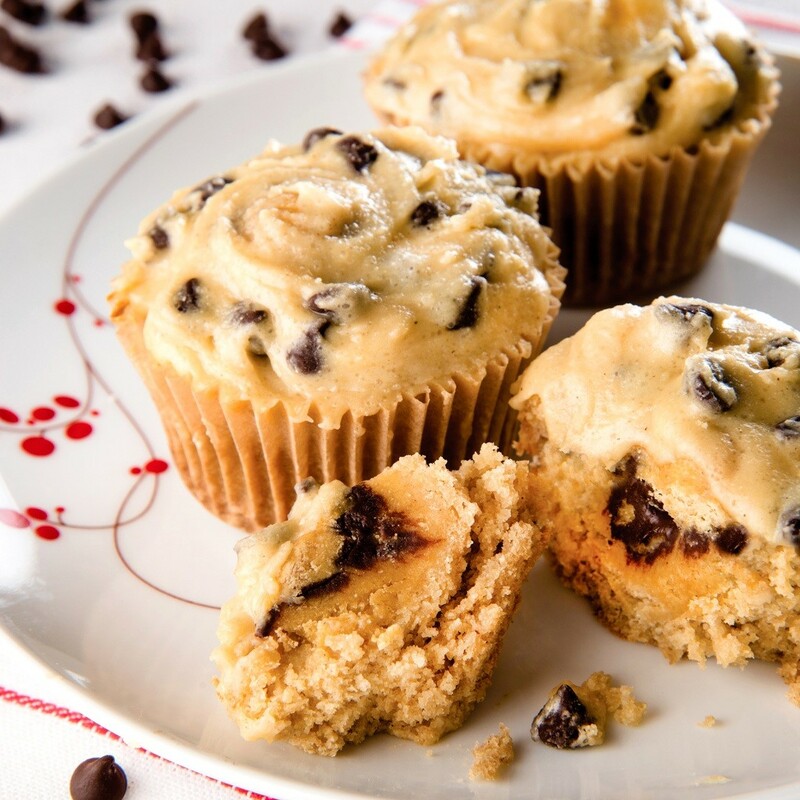 This Cookie Dough Cupcakes recipe is reprinted with permissions by BenBella Books from Sweet, Savory, and Free: Insanely Delicious Plant-Based Recipes without Any of the Top 8 Food Allergens. If I wanted to use regular sugar and flour could I just sub them 1:1? Hi Willow, in theory, you can, but the results may vary. Gluten-free flour blends and all-purpose flour aren’t always a 1:1 swap. The batter may be a little thicker (usually thicker) or thinner, producing moister or drier results. For the sugars, it is best to stick with the type of sweetener. Use another liquid sweetener if you need to swap the coconut nectar (like maple syrup, honey, or agave nectar), powdered sugar for the powdered erythritol, and I believe you would want about 1/3 cup sugar in place of the stevia. Again, these are HUGE changes, so the results could vary quite a bit – it may take a little experimentation! This sounds like a great recipe! I love the sea salt right off the bat and then the addition of applesauce for that moist texture. Saving for later you can count on that! Okay, these sound too good to be true. My husband would love these and I have a feeling he wouldn’t even know they’re vegan or gluten-free. They look and sound so good! You had me at cookie dough! These cupcakes look ahhmazing! Definitely a must make! Cookie dough and cupcakes? This is genius! Can’t wait to try!! Wow, these look a little dangerous. 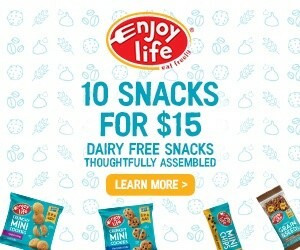 I might eat them all in one sitting! These look so yummy and being allergen friendly they are going to make a child so happy and thankful to have them, and his/her friends too! Mamas will be thanking you for this one! I couldn’t agree more Sarah!